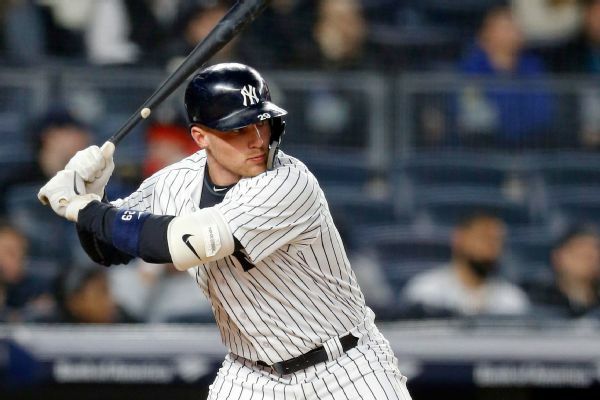 The Blue Jays have put infielder Brandon Drury on the DL with a broken hand that he originally injured while still a member of the Yankees organization. 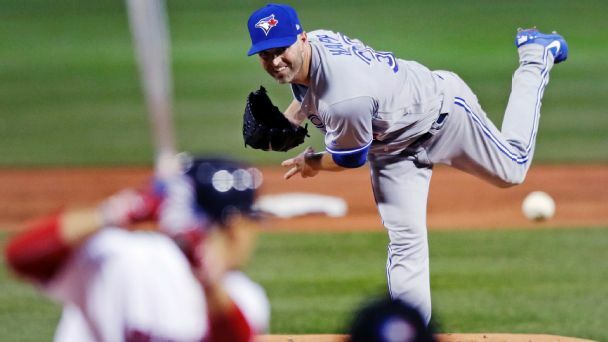 While the Yankees expect J.A. 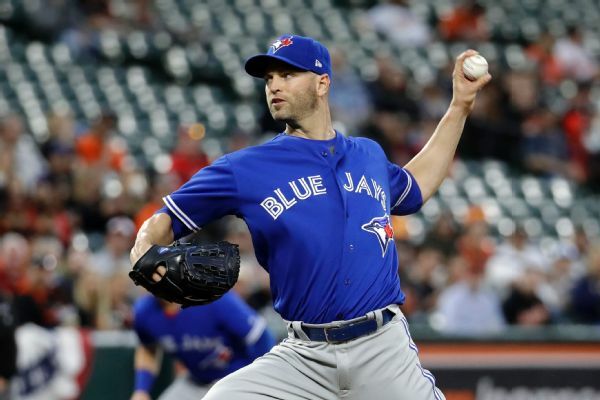 Happ to improve their rotation, his success against the AL East-leading Red Sox made him a prime trade target. 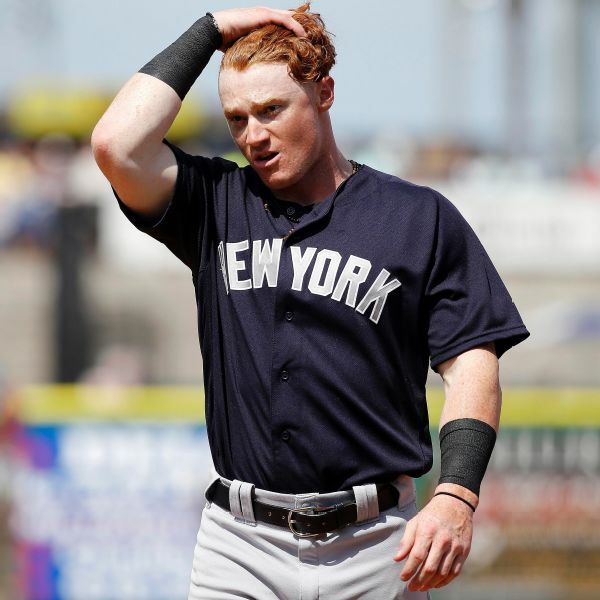 Brandon Drury, who had been on the DL for migraines that caused blurry vision, is still in New York's plans, the Yankees said Tuesday. 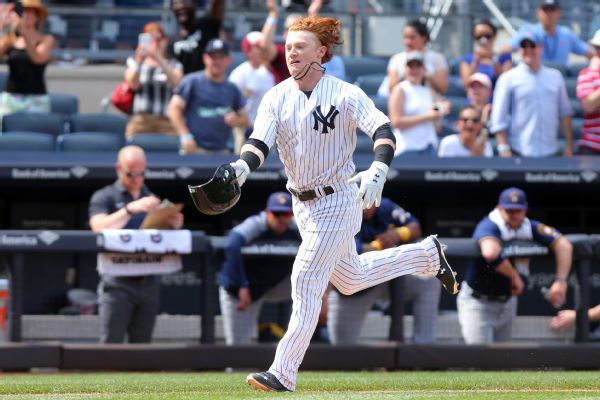 They also recalled Clint Frazier to give them an extra bat against the Nationals. 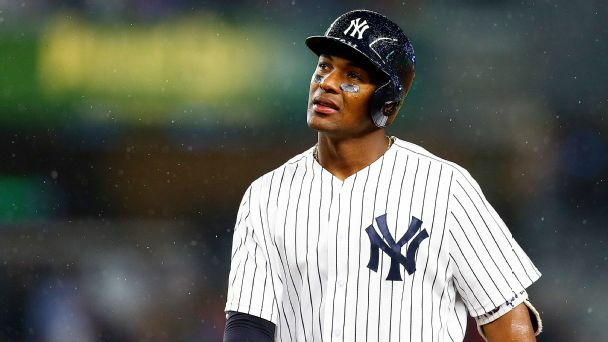 The Yankees reinstated Brandon Drury from the DL and assigned him to Triple-A Scranton/Wilkes-Barre, meaning rookie Miguel Andujar likely will remain New York's starting third baseman. 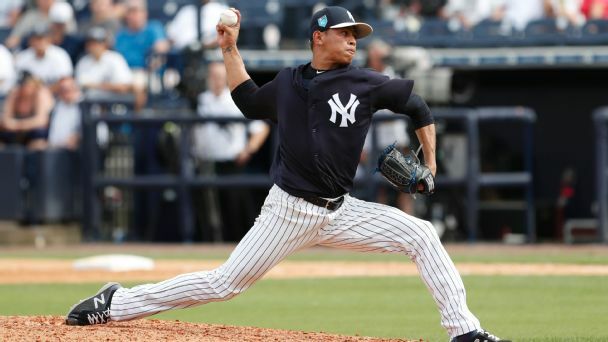 Who shined in a clash of a top-100 Philly pitcher and a rising New York arm? 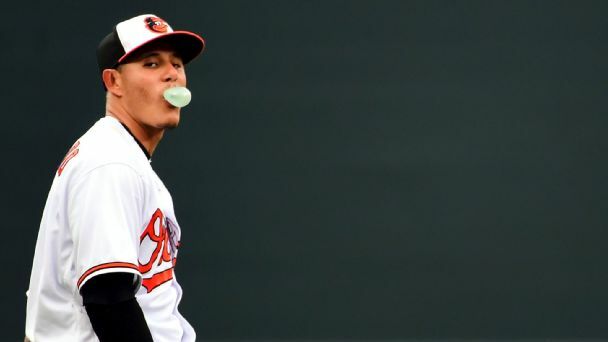 Plus, a look at a Nats outfielder drawing lofty comparisons. 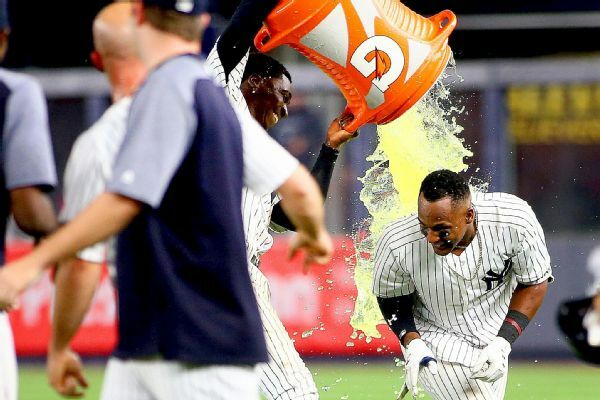 Gleyber Torres and Miguel Andujar, the newest additons to the Baby Bombers, helped the Yankees get a thrilling win Friday over the Indians.